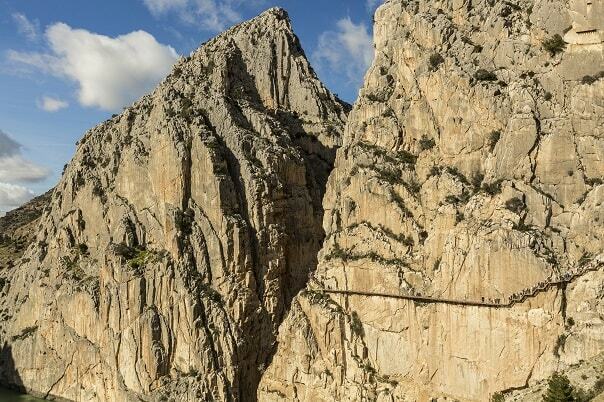 It’s been 96 years since King Alfonso XIII named it ‘El Caminito del Rey’ (The king’s trail). This walkway that was once dubbed “the most dangerous path in the world” has become one of the most popular tourist attractions in Spain after its restoration. There’s a lot of information about it so we will suggest some other plans beyond the ‘path of vertigo’, so you can have an even more complete experience. History, culture, gastronomy… And long live the heights! From the south access to the Caminito del Rey, part of a beautiful road sets off, full of curves, stones sculpted by the wind, and dense pine woods. In just a couple of minutes this track will lead you to the old medina of Bobastro, a military fortress of great importance in the late 19th century. Today, the guides will have to explain you its history, because there barely remain elements that allow us to understand its relevance. What we can see, are some astonishing traces which show us that this hill where grass and asparagus grow, was once an important ‘medina’. The main building is a mozarab church sculpted out of stone, although there are also remains of houses, stairs, city walls and other architectural elements. It was the dwelling of Omar Ibn Hafsún, a rebel that challenged the Andalusian realm and ended up ruling over half of Andalusia. A legendary tale that includes attacks on Cordoba, absolutions, exiles, and even a conversion to Christianity that explains the existence of the temple carved out of stone. When you get back from your trip to the past, keep going up the road a little, and you will arrive at the viewpoint ‘Tajo de la Encantada’ where you’ll get the perfect picture for your social media. 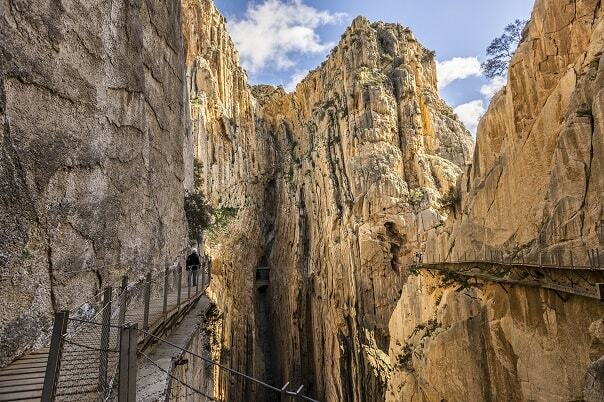 If the Caminito del Rey leaves you in the mood to exercise some more, you don’t want to miss the opportunity to go into some of the trails that go through the surrounding natural setting. A place with great biodiversity (there are 1 nearly 150 different species of birds), and amazing landscapes that will make you feel like you’re in a parallel universe. One of the most interesting routes leads you through an Arab stairwell to the magnificent peak of the ‘Sierra de Huma’, at almost 1.200 meters of altitude. I’s not an easy task, but the effort comes with a great prize at the end: amazing views that are hard to beat. 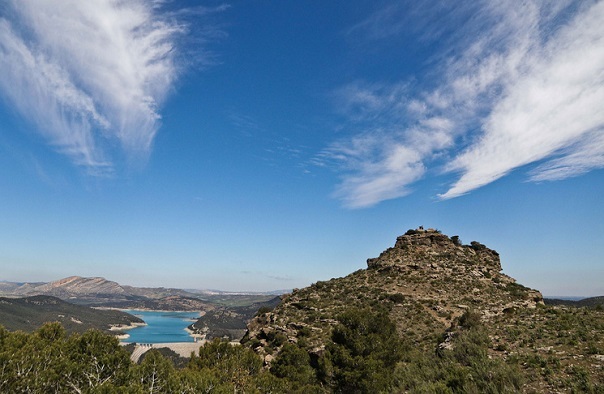 If you’re not up to it, a wide net of more accessible trails also allow you to enjoy beautiful panoramas of the ‘Desfiladero de los Gaitanes’, the three reservoirs in the area, or they will lead you to serene areas where the vultures are resting on the branches of the trees. At five o’clock in the morning, Francisco Javier Díaz opens his bar. The hour hasn’t changed in over a century. This is why this little nook in the centre of Álora is called ‘El Madrugón’ (The early bird). It is the perfect place for numerous workers to warm up on cold mornings. It will also be perfect for you, even if you get there a little later, to have some coffee and a tasty toast with “zurrapa” (spreadable pork lard). This place used to serve tapas, made at home and re-heated on a camping gas canister, but the absence of a kitchen forced them to stop. The property is one of a kind, and its large terrace in front of the town hall is shared by the local elders, that are without a hurry, the ‘guiris’ that live in the neighborhood and a couple of tourists that are discovering the city. 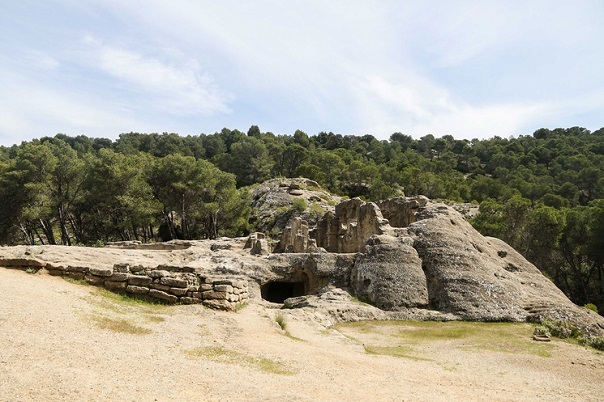 With its 13.000 inhabitants, this ‘enclosure’ is a small jewel that is scattered up on a hill. It’s crowned by a castle that first was a Phoenician fortress, then a Roman one and eventually it belonged to the Arabs, who also built a residence and an ‘alcazaba’. The final touch was given by the Christians, with the construction of a church on top of the old mosque, a temple that holds the ‘Cristo de las Torres’. From its walls you’ll have a beautiful panoramic view of the town, but also the valley that crosses the ‘Guadalhorce’ river, and the train tracks that lead to the Caminito del Rey, thanks to the viewpoint ‘Ali Ben Falcún Al Baezi’, that pays tribute to the last Arab mayor of Álora. 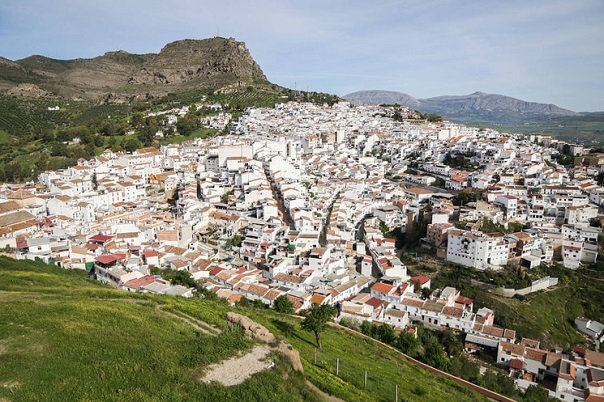 From there, the alleys of the old town descend to the ‘Plaza Baja de la Despedía’, where you’ll find an enormous church and a charming museum of the town. Very kindly, those in charge will explain the building’s history and the strategic importance of the city for the different cultures that have passed through. Partly for the gastronomic riches that can be found small shops today, in the shape of Citrus, tasty olive oils and even avocados. Not forgetting, of course, the ‘aloreña’ olive, the only one with Designation of Origin in the whole country, and with its characteristic floating pit. So many visits and so much walking will surely leave you in the mood for a refreshing bath. The reservoir of ‘El Chorro’ is the perfect place to do this: it has various bathing areas for you to place your towel, close your eyes, and feel like you’re on any beach in the ‘Costa del Sol’. Without waves, nonetheless. The area even disposes of water peddle and other forms of watercraft, if you should want to venture the waters of the reservoir. Among the installations are also recreative areas, benches, fountains and barbecue zones. There is even a camping, for if you would like to stay a couple of days. So you will not be bored, numerous businesses will help you get excited to go climbing, kayaking and other adventurous sports. When you get tired, you’ll be able to enjoy a nice beer and the local gastronomy in one of the many restaurants, with prices that seem from another century. ‘El Mirador’ and ‘El Kiosko’ are two of the classics near ‘El Chorro’ and the north access to the Caminito del Rey. 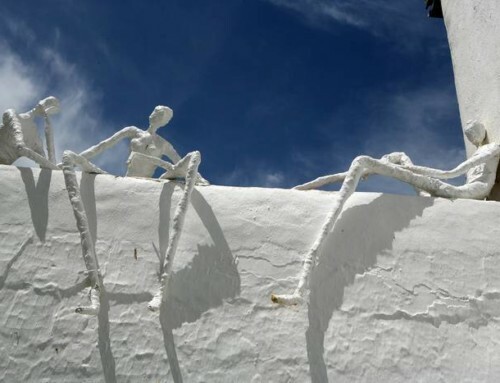 Many rural and small hotels have been able to enjoy the revival of the Caminito del Rey. The majority of these has fantastic rooms surrounded by the countryside where, except for the Wifi, it seems the 21st century has not yet arrived. ‘The Olive Brunch’ is one of them, also the ‘Finca La Campana’ and the four houses that make up the ‘Almona Chica’. 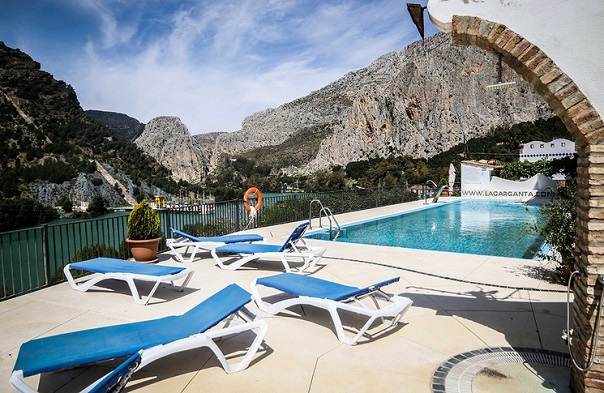 However, right near the reservoir ‘Tajo de la Encantada’, the ‘El Chorro’ train station and a couple of minutes from the south Access to the Caminito del Rey, is the tourist complex ‘La Garganta’. This hotel counts 27 rooms and a pool with views you’ll never want to get away from. Asides from two great halls, its restaurant has a spectacular terrace where you’ll find a lot of foreign visitors with a beer, some tea and a book, enjoying the view. Here, you can try some delicious local food such as oven baked goat’s shoulder, some nice ‘migas’ or the juicy tomatoes that grow in the Guadalhorce valley and are served in the shape of a nest. Dishes you can pair with tasty artisanal beers like ‘Gaitanejo’ and ‘Bobastro’ and flavourful wines from this region. When you wake up the next day, enjoy a good “mollete from antequera with pork lard… And up to enjoy some more! 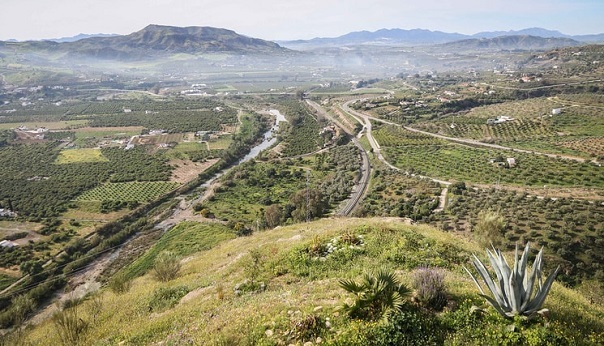 An earthquake at the beginning of the 19th century allowed the discovery of one of the best kept secrets in the province of Malaga. It’s about an enormous cave with numerous hallways and rooms that have kept human traces since a long time. So much so, that in its more than 1.500 meters of route, over a thousand wall paintings have been found, some as much as 37.000 years old. The majority of the cave paintings are about men, the hunt and animals, but there are some rarities such as a fish, feminine figures and negatives of hands, proof that the human being has always been an artist. It was the very first cave to be exploited for tourism: in 1823 a group of residents started charging two ‘reales’ at the entrance. Later on, it was Trinidad Grund that got the best out of it, inviting the nobles of Madrid to take a walk in his ‘hidden corners and enjoy the nearby thermal waters of ‘Carratraca’. Today, you can also visit it, calling 952 45 80 46. Pay attention to the indications, information and stories that the cave’s keeper, Pedro Cantalejo, will tell you, because he possesses great knowledge. English version of the article “Planes más allá del Caminito del Rey en Andalucía”, written by N. Sánchez / Spain Food Sherpas for traveler.es (19/05/17).